Pondicherry (now known as Puducherry) is a place that is pretty much soaked in French flavor. It is a popular tourist destination is a union territory of India and has architecture, mosques, churches, food and incredible culture. Moreover, the French connection makes it even more delightful for its visitors. 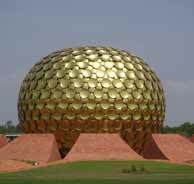 Here, we have listed many Pondicherry (Puducherry) holiday packages for you to choose from. The Pondicherry (Puducherry) tour packages on goaroundtours.com are designed as per your desire and time duration is according to your choice. So, plan your next Pondicherry (Puducherry) vacation with us. This 2 nights' tour package of goaroundtours.com, you will get to explore the charming tourist destinations of Pondicherry. Enjoy visits to popular attractions including beautiful churches, historical monuments, beaches and much more. Enjoy a 4 nights and 5 days holiday in South India, including stay in Mahabalipuram and Pondicherry. This tour is a great opportunity to understand the dream world of Tamil arts and exhibits along with modernization of Pondicherry city. Comprising visit to two beautiful destinations of South India, i.e., Pondicherry and Mahabalipuram, this 4 nights' package of goaroundtours.com is a complete package of spiritualism and heritage. This 4 nights' tour is especially designed for you to enjoy a rejuvenating holiday in Pondicherry, the city of historical monuments, glorious churches and Chennai, the city of cultural richness and manmade attractions.